Our Audi Dealership and owner customers love working with us and trust us with all their Audi car shipping needs. Want to join them? Give us a call at 1 (888) 886-3456. Audi is a premium German luxury auto brand with a “Vorsprung durch Technik” slogan that translates to “Advancement through Technology”. Across its sports car and SUV models, this philosophy has been embraced; Audi vehicles are sporty, sophisticated and progressive. Indeed, when it comes to shipping an Audi, find a company that mirrors their values and works hard to make each and every transport the best possible experience for its customers. Read on for useful tips regarding how to ship your Audi, cost and why Audi owners and dealers nationwide choose us. Of course, if you’re ready to ship your Audi use the form to the right to get a free customized car shipping quote. Shipping your Audi should be a seamless and stress-free experience. The first step to a positive Audi car shipping experience is to do your research online. Avoid selecting a transporter solely based on lowest cost. In fact, with many companies in the auto transport industry, the lowest price can lead to unwanted delays and stress. In reality, the cost to ship an Audi depends on factors like the time of year, location and type of shipping. Rather than cost, we recommend evaluating Audi car shipping companies on the greatest likelihood of a safe, on-time pickup and delivery. The best Audi auto transporter has a flawless five star reputation among customers. They are a well-established car shipping company, fully licensed and insured. The transporter shares Audi’s focus and quality. In other words, your car shipping company goes the extra mile for you. With over 30 years of trust and reliability, we make Audi auto transport an easy and stress-free experience. Dave and his team have raised the bar for other transport companies. Their customer service is exceptional, as they are ALWAYS available to answer any questions or concerns. In this industry we always want the vehicle “yesterday” and Fisher Shipping always goes above and beyond to make sure that the transport experience run smoothly, efficiently and for the lowest cost. We transport many cars, sometimes with difficult time windows, and Fisher always manages to pull it off! I highly recommend Fisher. Their professionalism is second to none! The Fisher Shipping Co. has proven itself to be one of the most reliable and efficient transport companies in the US. They are very professional, pleasant to work with, and always accommodating to our schedule. 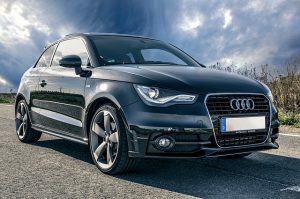 As one of the transport companies for the #1 Audi dealer (in volume sales) in Northern California, they have a profound ability to give transporting services in a fast pace environment. It has been two years working with The Fisher Company, and we will continue to have a long lasting business relationship! Eddie transported my Audi A4 from Loveland, Colorado to Miami, Florida. I was extremely nervous about the whole process until the first time Eddie called me. He was very professional and punctual. He offered to even pick up my car a day early if that worked better for me. I ended up bringing him my car at the time we first decided on where he properly walked me through the process again and said that my car would most like be in Miami between Sunday and Tuesday. He made great time and actually delivered my car to me on the Saturday before. He kept in contact with me along the way which was greatly appreciated. My car was in perfect condition and was off the truck waiting for my arrival. I would highly recommend this company and Eddie again to anyone who needs their car shipped. Thank you so much for a great experience! I would give a perfect score of 10/10! Since taking over for inventory management here at our Penske store, Fisher shipping has been my go to transporter. They are always the best price. Every. Single. Time. They respond instantly and make the transports happen faster than anyone we have used in the past. I cannot say enough good things about the job they do. I do, and would recommend them to any dealer looking to move vehicles. They are simply awesome! I was 110% satisfied with my stress free shipment of my brand new Audi A3 from CT to California. I was away on vacation when the car was picked up and Fisher Shipping picked it up without even disturbing me while I was away. They also dropped it off before I arrived in California so it was waiting for me when I got there. What a great experience. Audi refereed Fisher to me after I was concerned with finding a shipping company I could trust. They honestly all seemed like scams online until I contacted Fisher shipping. What a relief. Thank you so much and I can’t wait to use your service again. I will be highly recommending this company to anyone in a similar situation as me. Well trusted guaranteed! This was the first time my company used Fisher Shipping and we could not have been any more satisfied with the service provided. I contacted Stacie on a Thursday and told her I needed the vehicle to us by Friday 8pm (we are located in New Jersey and the vehicle was in Massachusetts) so one can only imagine the pressure we had added on her shoulders…still she was able to assure us the vehicle would be to us no later than 8pm on Friday. Surprisingly, Friday came around and the vehicle was delivered to us no later than 3pm. It was handled promptly and efficiently, by competent distributors. Everything went exactly as Stacie described, we received the car without difficulty or damage. I was enormously pleased with your cost, timeliness, and careful handling. Auction to dealer transport: We ship to nearly every auction in the United States. Whether you are purchasing a single unit or need multiple vehicle transport, you’ve come to the right place. Enclosed vehicle transport available: Since the MSRP for a new Audi is over $35k, you may want to choose covered or enclosed auto transport. Fisher Shipping is our go-to transporter.